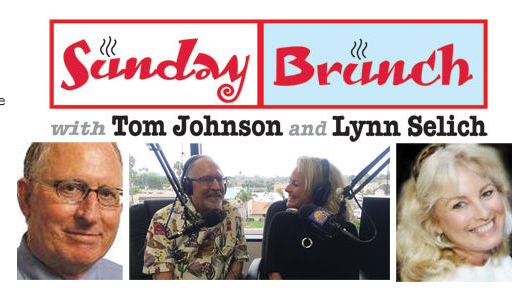 OK, pardners, I THINK I've figured a way for you to hear the 20 minute audio file of my visit with Tom Johnson last Sunday morning on the "Sunday Brunch With Tom And Lynn" show on KOCI FM, 101.5 on your dial. Thanks to KOCI honcho Brent Khalen for making this possible. I hope this works. I've copied and pasted what should be the link HERE. (WAIT! Not yet! Read the rest first, because once you download this it will automatically begin to play!) All you have to do is click there and a page will come up telling you this is ready for download. If you click on the Download, just as you would an Adobe file or such, you should be able to find the file somewhere in your computer, depending on what your default settings are. Mine defaults directly into ITunes, where this little ditty resides now for posterity. I'm told this file download will only be available for a week, so get cracking if you want to hear it. I'd appreciate your thoughts once you've heard the whole thing. Be kind. READY ON THE LEFT? READY ON THE RIGHT? Ready? OK.. hit that link and off you go. Love the Ready on the right? Ready on the left? Reminds me of the old .50 Cal Browning Machine Gun that I could hit a 55 gallon barrel at ¾ of a mile with on the range while in the Army. What a beast. After my expanded lesson on cookies here yesterday, I had to enable them to fetch the MP3 file :) . During the download to my PC I had an option of where to place the file, regardless of my default, so that was nice and easy. Well done Geoff. You're a lot more forgiving than me- I'm still annoyed about Johnson siding with the rigbots and attacking you a few years back. At least he admitted same. Next: Recruit Mary Spadoni and form a Stern-Quivers thing..
BTW, bootlicker Andrew Smith allegedly had a break-in at his home. What did Das Rigmarshal do when Smith called him? Oh? Smith called CMPD instead? Go figure.. Thanks. And I saw Andy Smith's Nextdoor post about the break-in at his home last night. Scary. Wife was at home. Invaders dashed out, breaking a French Doir when she screamed. They are two blocks from us. Had a quick response from the CMPD according to his post. Falls right in line with Monahan's window, Ramos's church window and now Smith. What goes around comes around if you ask me.